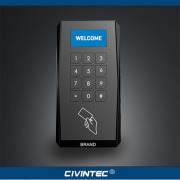 CIVINTEC Global will be demonstrate a high smart advanced NFC Smartphone access control time attendance solution at IFSEC International 2015 in London, UK, next month. 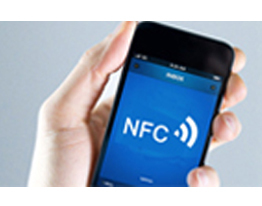 Good chance for real experience with NFC identifying technology. 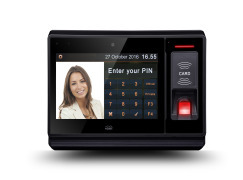 Combined with ISO18092 NFC and 13.56MHz contactless smart cards, uTouch enhances NFC Smartphone access control security and provide an intelligent experience of presenting a mobile phone credential instead of a card for door access, clocking in/out and visitor management. Meanwhile, optional biometric identification with added privacy is integrated to avoid buddy punching, which is enabled via a Suprema sensor and algorithms with less than 0.76s identification speed. 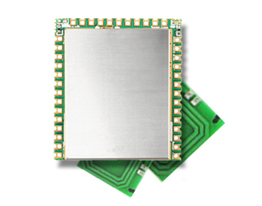 Embedded with powerful & selectable Android or Linux OS system offers open & robust API for NFC created and multi-smartcard applications development. 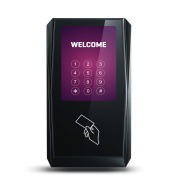 Moreover, compatible range of NFC products covering OEM, desktop, handheld and wall mount device is ready to provide extendable total NFC solutions in various applications, such as access control, time attendance, visitor management, room reservation, club/membership management, payment (kiosks, vending machines, auto fare collection) and club memberships.etc…suitable for almost any occasions. 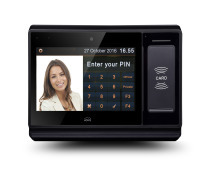 uTouch is featured with a 7.0 inch capacitive touch screen for intuitive comfortable user experience in Smartphone, multiple contactless card supported and optional biometric security solutions. Highly sensitive infrared sensor is added to detect people approaching and activates the clearly visible LCD screen. Power over Ethernet, plus battery ensures uTouch NFC system stability and security sleep mode is designed to save power. 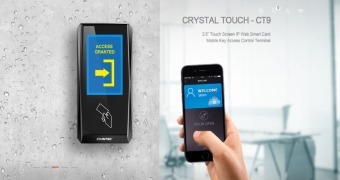 Flexible capability of integrating IP-based connectivity and wireless Wi-Fi, GPRS/3G enables uTouch workable in PC based or Cloud based communication synchronized at anytime anywhere. Build-in web server realizes a total standalone, central network and server managed access control time attendance system’s real-time monitoring. This amazing NFC Smartphone solution will be demonstrated at the coming pageant next month. Welcome to visit our booth and have real experience with uTouch terminal. 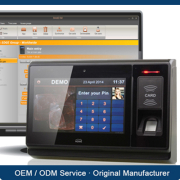 New OSDP 3.5”touch screen card reader CRYSTAL, designed with high sensitive touch screen, featuring with RS485 OSDP protocol technology, BLE (Bluetooth Low Energy), ISO18092 NFC technology and 13.56MHz RFID. 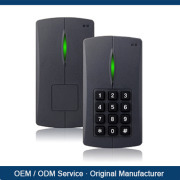 New OSDP OLED Keypad smart card reader CRYSTAL, designed with OLED display and mechanical keypad, featuring with RS485 OSDP protocol technology, BLE (Bluetooth Low Energy), ISO18092 NFC technology and 13.56MHz RFID. Advanced smart & secure CN6XX is NFC & 13.56MHz smart card desktop reader and writer with high level commands and fast speed ideal for both PC-linked and terminal integration. 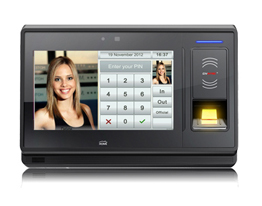 13.56MHz Anti-vandal contactless access control door reader is compatible to MIFARE® DESFire® EV1 with AES encryption. 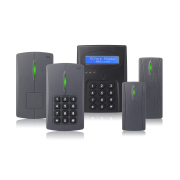 It features with build-in RS232/RS485 or TCP/IP and relay for door open. FOR MORE INFORMATION CONTACT CIVINTEC GLOBAL CO., LTD.